The 2014 Indian Premier League (IPL) players’ auction has been ended. Now, you can have top 10 highest players list including names like Yuvraj Singh, Kevin Petersen, Karan Sharma, etc. The Indian Premier League 2014 Player Auction was held on February 12 and 13 at ITC Royal Gardenia in Bangalore. Unlike previous seasons, the auction was in Indian currency (INR) instead of United States dollars. There were lots of new set of rules, and 13 ‘right to match’ cards were used during the auction. This year, Yuvraj Singh drew the highest bid of Rs 14 crore from the Royal Challengers Bangalore, Dinesh Karthik clinched an incredible Rs 12.5 crore purse from Delhi Daredevils, while Kevin Petersen was the most costly foreign player. 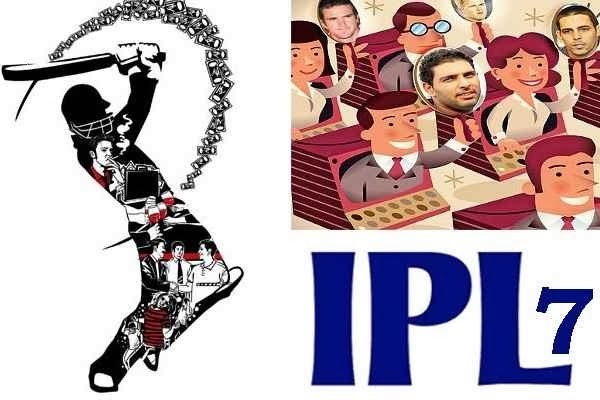 For the first time in the history of IPL player auction, uncapped Indian players were also auctioned, in which Karan Sharma was the most expensive player at Rs 3.75 crore. India's Yuvraj Singh drew the highest bid of Rs. 14 Crore ($2.33 million) and bought by the Vijay Mallya, who owned Bangalore franchise. This cricketer is now back and better than ever, after battling cancer. When Royal Challengers Bangalore (RCB) successfully bid for Yuvi, numerous jaws dropped and eyes popped as he became the most expensive player in the history of IPL auctions. Previously, he was part of the Pune Warriors franchise and bought for $1.8 million in 2011. Recently, he has been out of the form and not a part of the Asia Cup team; however franchise insiders had stated on the eve of the auction that he was still a major player in the IPL. It will be very exciting to observe if the big investment of RCB on Yuvraj Singh pays off! The last season of IPL saw the rise of Dinesh Karthik, so it was somewhat incredible that Mumbai Indians didn't retain him, but Karthik has no lose of money as Delhi Daredevils bought him for Rs. 12.5 Crore ($2.08 million). Mumbai had bought out Karthik's contract from Kings XI for more than $1 million in 2012. He has already made 1741 runs in 92 IPL games, So he can said to be worth it also. Delhi Daredevils also paid a big amount of Rs. 9 Crore for English batsman Kevin Pietersen, so let’s see whether this guy is worth his price or not? He was bought by the RCB for $1.55 million in the 2009 IPL auction, while he moved to the Deccan Chargers in 2011 and bought by Delhi Daredevils before the beginning of the 2012 season. He doesn't have to care regarding the international calendar any longer. He can be a real pain for the bowlers, as they’ll have to compete with a fit and available Pietersen for the whole season. This year, Kings XI Punjab got hard to buy Johnson for Rs. 6.5 Crore. He was with Mumbai until last year. Aussie pacer - Mitchell Johnson is quick, and terrible in great form. He is a left-arm fast bowler and left-handed batsman, and received the International Cricket Council's 2009 "Cricketer of the Year" award. An all-rounder Maxwell was bought by Mumbai Indians last year for $1 million, while this year Kings XI Punjab spent Rs. 6 Crore for him. His performance was not so much good in the last season, but who knows if he will amaze all of us in this season. Kings XI Punjab has a powerful batting line up with explosive batsmen such as Shaun Marsh, Virender Sehwag, George Bailey, and Cheteshwar Pujara in the team. Kolkata Knight Riders invested Rs. 5.5 Crore for South African all-rounder, Jacques Kallis. Super Kings were even attracted with this cricketer, however withdrew later. Kallis has reached at the age of 38, although he is able to make some really great moves on the field. He has made 2276 runs in 90 IPL matches with a strike-rate of more than 100, plus took 61 wickets. Sunrisers Hyderabad was happy to invest Rs. 5.5 Crore for David Warner, who along with Shikhar Dhawan and Aaron Finch, includes a powerful top order. He gave an impressive performance in IPL 6, scoring 410 runs with 126.93 strike rate in 16 matches. When he is in good mood, he can devour the opponent bowlers. Kolkatta Knight Riders spent this year Rs. 5 Crore for Robin Uthappa. But when compared to IPL 6, his value came down in IPL 7. In the 2011 IPL, Uthappa was purchased by Pune Warriors for a whopping 2.1 million USD (approx. INR 9.4 Crore). However the hard hitting batsman failed to live up to his price tag, as he was inconsistent. Looking at the past performances, he has given good performances so he seems to be reliable and perform well in the future. This cricketer was sold to Delhi Daredevils for Rs 5 Crore, and has a lot of potential. In the starting of IPL 2012, he struggled to return to form as his first few matches were a disaster for Chennai Super Kings. Although he had got his luck back when he scored 113 of only 59 balls. With this century, he became the only Indian cricketer to have scored 2 centuries in the history of DLF IPL. Both, Michael Hussey and Mitchell Starc, were bought for an amount of Rs. 5 Crore by Mumbai Indians and Royal Challengers Bangalore respectively. Hussey will lead the batting line up. On the other hand, Mitchell Starc is a good fast bowler.